We approached the table for breakfast, holding our plates of eggs and bacon and slice of French toast on each. The family already seated at the table were strangers, but that wasn't a big deal since we were all "family" at this diabetes conference anyhow. 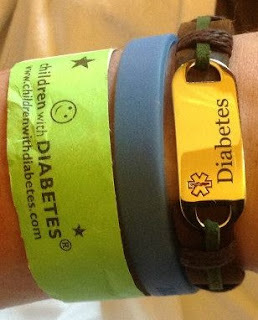 Hey, we all had bracelets -- most green, some were orange and others were yellow. But it all meant "family" to some degree, so there really weren't any strangers (at least not for long!). Once we stepped up to the table and did initial intros, the dad welcomed us and motioned that we sit down next to him and his boy, while the mom mentioned she had to run back up to the room with her teenage daughter. Sitting down, we instantly got to talking about what had brought us all to that conference and respective table. 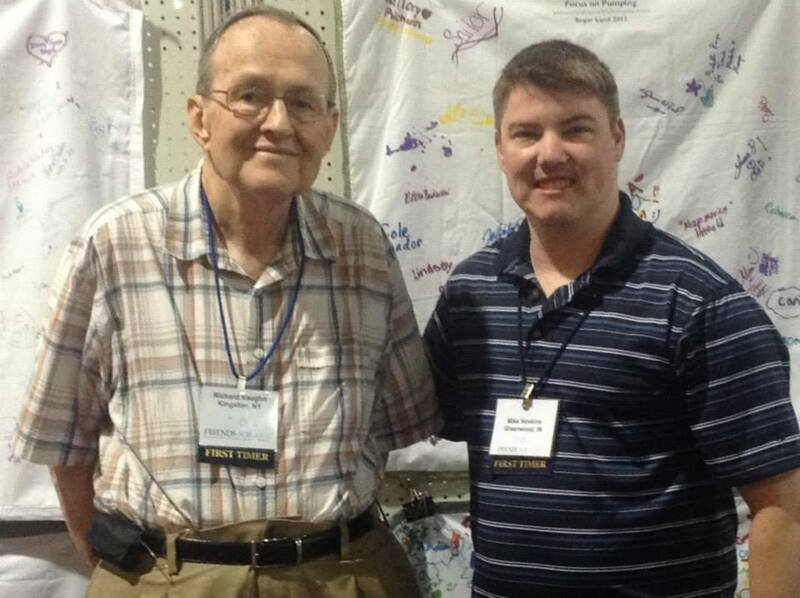 We shared diabetes diagnosis stories, and the dad wondered how I'd heard about the Friends For Life conference in Orlando. 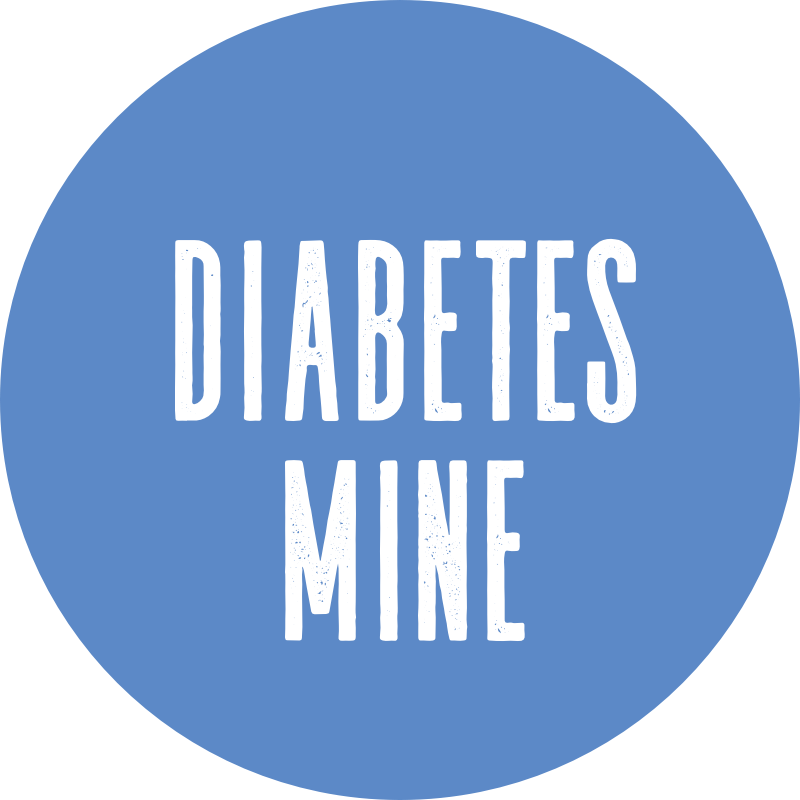 I told him about knowing of FFL for years, thanks to some friends in the diabetes blogging community, but that was the first time I'd been able to get there. "Oh, my wife has a blog too..." he started to say. "Oh my - your wife is...," I blurted out, a cross between a question and exclamation. "I know her!" Yes, we had stumbled across the Ghosn family, and D-Mom Tina who blogs over at Stick With It Sugar. Her husband and I shared a laugh and a few more conversation moments before Tina returned a few minutes later with their Type 1 daughter, and we connected the dots... Smiles and huge hugs were exchanged, and that was that. Another first time real-life meetup with people who knew each other from the Diabetes Online Community. That wasn't the only meeting of its kind at FFL. There were many, not only on my end but with Suzi and so many others attending the conference. I finally got to meet the esteemed and wonderful D-Mom Meri, and big hugs years in the making were exchanged. And there was Stacey and Moira and Laura B and... Just. So. Many. These were just some of the many many highlights of my first-ever FFL experience. So many stars. Notice how I say finally so often... Yes, it's intentional. Because I feel as though these people are members of my extended family, and I've known them for years. Oh, but one that can't be overlooked: I finally got to meet and chat with THE Richard Vaughn, who at 73 years old has been living with type 1 for 67 years now. I first saw him walking outside on Wednesday mid-day, taking in the afternoon Orlando sun (I later learned it was to balance out the freezing cold air conditioning inside the conference center resort). We talked like old friends do, and there were some reminders to catch up on details like what devices we both use and all that. But then we took a stroll into the Exhibit Hall toward the Quilts Of Life, and found some CWD-themed one to pose next to for photos. Later in the conference, I had the honor of hearing Richard share some of his stories in a coupe different sessions. 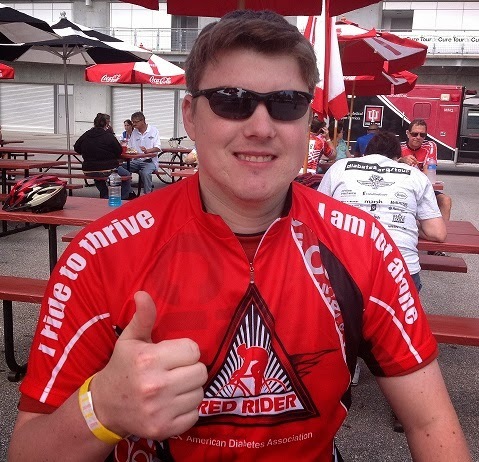 He offered incredible thoughts on how he's lived with diabetes, conquered burnout and just set positive goals for himself. Inspiring? Yeah... It doesn't even begin to cover how impressive and heart-warming it was. As Christel wrote: Richard's a rock star who doesn't need to wear leather pants. But this community is made up of so many, fellow PWDs who are making differences in so many lives in so many ways. Some I got to meet for the first time, others were just great to re-connect with - if even for a few brief moments for hugs and short conversation. Now, I've sure people have noticed over time that I am pretty damn shy. Really, I write a lot... But talking isn't as much my strong suit. It's a fault that I'm still trying to get around, because althogh I really like being around people, what I'm really interested in and have the most fun doing is seeing and soaking up the energy from those around me. Often, just sitting back and watching the dynamics while I figure out how the hell I feel about it. And there was so much energy and passion here at FFL... it was a soul-enriching experience, even if I did at times feel a little overwhelmed by "everything diabetes" that was at the center of the whole thing. Suzi had a great time, too... Which was also very special to me. She made soe friends at the banquet and later danced the night away at the ball. She loved it. Of course, the magic for me came mostly from the kids with diabetes. The littlest ones, the not so little, and the teens - all making their "Friends For Life" and sharing stories, smiles, hugs and tears. Being together and have a blast. Especially during the FFL banquet and ball, where many dressed up as princes and princesses for the night. It was all so special... So "magical." So, what's the morale of the story? You need to go to FFL. Thats all there is to it. Whether its the first or 14th time, the experience is one that shouldn't be missed. I'm not the first or last to say it, but all I can do is echo the word - GO. The conference is so close to Disney and Universal, there's a certain appeal to hitting the theme parks at some point. 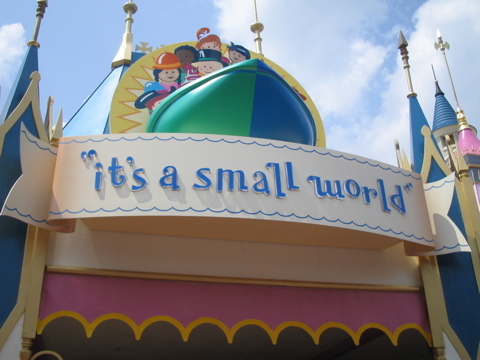 But if you're whole point is to experience the theme of It's A Small World, then really the Kingdom of FFL is the place to see magic happen. Thanks for the shout out and for sharing our meet up (although it so brief - our actual meet up not the way you shared it) story. I must admit I was oh so excited to see my hubby chatting it up with another being at the conference - learning who that being was (you) was even more exciting. When I got back and saw your laptop shared between the two of you I was so immensely happy. Im not sure how much of all the online stuff I do makes sense to him (chad). Hearing you talk about it with him, blogs, DOC stuff (and he looked genuinely interested) was so cool. So glad you got to meet up with all the rock stars including Richard - must admit Im a bit envious of anyone that got to have a walk and talk or sit and chat with him but Im certainly glad yall did. Comparing FFL to Its A Small World is brilliant. Ha! That's SO awesome that you found the Ghosn's! "She made some friends at the banquet and later danced the night away at the ball. She loved it." Should actually say something like "She made some friends at the banquet and later danced the night away (without me) at the ball. She loved it." Friends For Life is officially on my bucket list! I followed the hashtag on twitter this year and from what I read there, and the countless blogs about it, it really seems to be an incredible experience! Better start saving my money though, what with being from the UK! symptoms of gestational diabetes and high blood pressure control.